Long before civilization as we know it existed, Sri Lanka was a land throbbing with vitality and a well-ordered civilization. Cities, palaces, reservoirs, parks, temples, monasteries, monuments and works of art bore testament to a culture that was not afraid to dream: The Land of a Thousand Dreams. This is the introduction that the SLCB (Sri Lanka Convention Bureau) uses on their latest promotional brochures and rightly so. Few places or countries on earth have so much to offer as this tropical island in the middle of the Indian Ocean. Officially renamed Sri Lanka in 1971, the previous Ceylon was seen by seafarers and adventurers alike as “The pearl of the East”, and the island still today fully merits that name. Despite its rather limited size Sri Lanka is an island of immense diversity, and you find everything here that makes a holiday into a real vacation: Sun, sea, beaches and beautiful nature. Thanks to the lush vegetation and the favourable climate Sri Lanka is often also named “Garden of Buddha”, and the destination also boasts numerous cultural treasures from a rich and eventful – not always peaceful – past. If you don’t limit your visit to the hotels and the beaches, you will discover the beautiful things Sri Lanka has to offer. It really is Asia in a nutshell ! The famed explorer, Marco Polo, arrived in Sri Lanka in the period between 1254 and 1324, and, in 1505, the Portuguese landed, and occupied the island’s coastal regions. At this time Sri Lanka had three main kingdoms – the Kingdom of Jaffna in the north, the Kingdom of Kandy in the central highlands and Kotte, the most powerful, in the south-west. In 1505 the Portuguese, under Lorenco de Almeida established friendly relations with the king of Kotte and gained, for Portugal, a monopoly in the spice and cinnamon trade, which soon became of enormous importance in Europe. Attempts by Kotte to utilize the strength and protection of the Portuguese only resulted in Portugal taking over and ruling not only their regions, but the rest of the island, apart from the central highlands around Kandy. Because the highlands were remote and inaccessible, the kings of Kandy were always able to defeat the attempts by the Portuguese to annex them, and on a number of occasions drove the Portuguese right back down to the coast. Attempts by Kandy to enlist Dutch help in expelling the Portuguese only resulted in the substitution of one European power for another. By 1658, 153 years after the first Portuguese contact, the Dutch took control over the coastal areas of the Island. During their 140-year-rule the Dutch, like Portuguese, were involved in repeated unsuccessful attempts to bring Kandy under their control. The Dutch were much more interested in trade and profits than the Portuguese, who spent a lot of efforts spreading their religion and extending their physical control. Then the French revolution resulted in a major shake-up among the European powers and in 1796 the Dutch were easily supplanted by the British, who in 1815 also won the control of the kingdom of Kandy, becoming the first European power to rule the whole island. 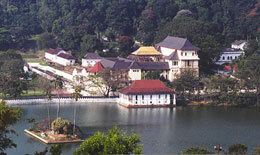 But in 1802, Sri Lanka became a Crown Colony and in 1818 a unified administration for the island was set up. Soon the country was dotted with coffee, cinnamon and coconut plantations and a network of roads and railways were built to handle this new economic activity. English became the official language, and is still widely spoken. Coffee was the main crop and the backbone of the colonial economy, but the occurence of a leaf blight virtually wiped it out in the 1870s and the plantations quickly switched over to tea or rubber. Today Sri Lanka is the world’s second largest tea exporter. The British were unable to persuade the Sinhalese to work cheaply and willingly on the plantations, so they imported large number of South Indian labourers from South India. Sinhalese peasants in the hill country lost land to the estates. And then, Independence came ! The Sacred City of Anuradhapura – The Medieval City of Pollonaruwa – The Cave Temples of Dambulla – The Sigiriya Rock fortress – The Royal City of Kandy – The Dutch Fortifications at Galle and The Sinharaja Forest Reserve: with no fewer than seven World Heritage Sites declared and listed by UNESCO, Sri Lanka is one of Asia’s richest treasure troves of both natural and man-made wonders. Six of these marvels span some 2,500 years of history – from the sacred city of Anuradhapura and the cave temples of Dambulla, to the magnificent temples and palaces of the royal city of Kandy. The Dutch fortification at Galle has the added distinction of being a living World Heritage Site. But the seventh jewel in Sri Lanka’s heritage crown owes nothing to man and everything to nature: the Sinharaja Forest Reserve, a biodiversity hotspot, with its own unique eco-system consisting of protected birds, flora and fauna. The country’s former royal capital, Kandy, the archaeological sites at Polonnaruwa, Sigiriya – the palace in the sky – form Sri Lanka’s Cultural Triangle – a world of ancient wonders. Spiritually inspiring, year after year, visitors from around the world make their personal pilgrimages to the seven World Heritage Sites of Sri Lanka. Sri Lanka is girdled by 1.600 km of beautiful tropical beaches on all its shores, of which half is rain-free throughout the year due to the well-rostered rainfall pattern, so obviously beach hotels are a first choice for leisure visitors to the island. Properties like Mount Lavinia (the former Governor’s mansion) close to Colombo, Taj Exotica in Bentota or the Heritance Ahungalle (former Triton hotel) are good choices for this in the upper level, and a number of small luxury and boutique hotels have been added over the last years. If you prefer to stay in the interior you might want to consider the Kandalama eco-hotel near Dambulla, or the Mahaweli Reach hotel in Kandy. And if you are there for business, the Taj Samudra or the Hilton in Colombo may be your prime choice. Whatever the purpose of your visit or your budget, Sri Lanka’s accommodation is upto standard, whether you choose the top class as mentioned, or a safari- or eco-lodge, a friendly family hotel, a colonial-period inn, or stay in a tea-plantation bungalow or a converted manor house. Wherever you are staying, it would be a shame not to discover the island’s many attractions, and besides the seven UNESCO World Heritage Sites, of which some are a “must”, you will not want to miss visiting a spice garden, seeing the elephants at work in the Pinnawela elephant orphanage or go shopping for some gems (sapphires, rubies, cat’s eye, or over 60 other semi-precious stones). If you are the active type you can choose between golf, mountain biking, river rafting, jungle trekking, tea plucking, whale watching, diving, etc…. The MICE industry continues to enjoy well over 13% of the total visitors into the country and Sri Lanka is expecting a growth of 10% this year with an increasing interest shown to visit the island. Among many International conferences scheduled for this year, the International Congress on AIDS and the Commonwealth Games General Assembly are expected to boost Sri Lanka’s image among MICE decision makers around the globe. A contributing factor for Sri Lanka’s success is its diversity where MICE buyers have wide ranging options to satisfy the delegates attending incentives, meetings and conferences. In an environment where MICE travelers look for new destinations, Sri Lanka has become an Inland with many choices from Beaches, to Culture, Nature and Adventure. 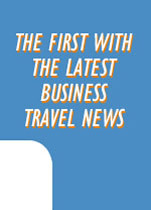 Sri Lanka has gained a reputation as a value for money destination for Incentive Travel. Incentive travelers leave the Island with life long memories with unique experiences which have been tailor made on visitor preferences ascertained on prior studies. In addition, What the MICE traveler will always remember is our hospitable people who value their culture and traditions although Sri Lanka has reached modernization. As for future conferences, the Hambantota International Convention and Exhibition Centre, that is now being constructed with financial assistance from the Government of Korea will definitely boost the local MICE industry. This Convention centre is being built at a time the overall development at Hambantota is taking place which involves the development of the new Hambantota Port, the new oil refinery, the new international airport at Weerawila, the extension of the Southern Railway Line and the construction of the Southern Expressway. The project is expected to reach completion by the year 2009 which will have a capacity up to 1500 delegates in the main hall, Exhibition area for large scale exhibitions, many meeting halls for parallel sessions and other facilities. In anticipation several new hotel projects are already under way, amongst others the construction of a 242 room Hyatt Regency hotel to be ready by 2009 as well. And if for no other reason, you might want to go to Sri Lanka for your health and well-being ! “Ayurveda” is not only a form of medication – it is a total way of life know to generations of Sri Lankans for over 3000 years. 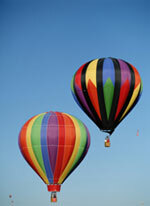 It is a gentle method of treating the root causes of illness in both mind and body. What is Ayurveda? It is an ancient system of medicine developed in our part of the world, long before the “father of medicine”, Hippocrates, was even born. The name comes from two conjoined Sanskrit words “Ayuh” (life) and “Veda” (science or knowledge). Basically a science of healthy living, Ayurveda has two aims – to preserve health and to cure a body afflicted by disease. 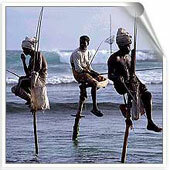 Government Sri Lanka, is a free, independent and sovereign nation with a population of +/- 20 million. Literacy rate 91.8% Languages Sinhala & Tamil English is widely spoken throughout Sri Lanka, with the exception of remote villages. Currency Sri Lanka follows decimal currency system in Rupees (Rs.) and cents (Cts.) with 100 cents equal to a rupee.